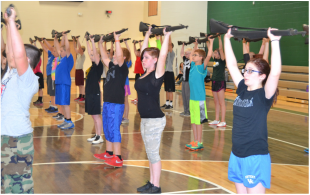 Eagle Battalion cadets perform rifle PT during a weekly schedule physical fitness session held the new College Readiness Center gym. 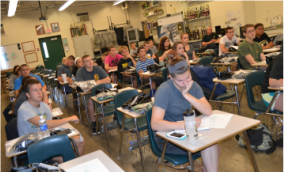 Selected cadets attended our Third Annual Cadet Leadership Camp prior to the beginning of this school year. 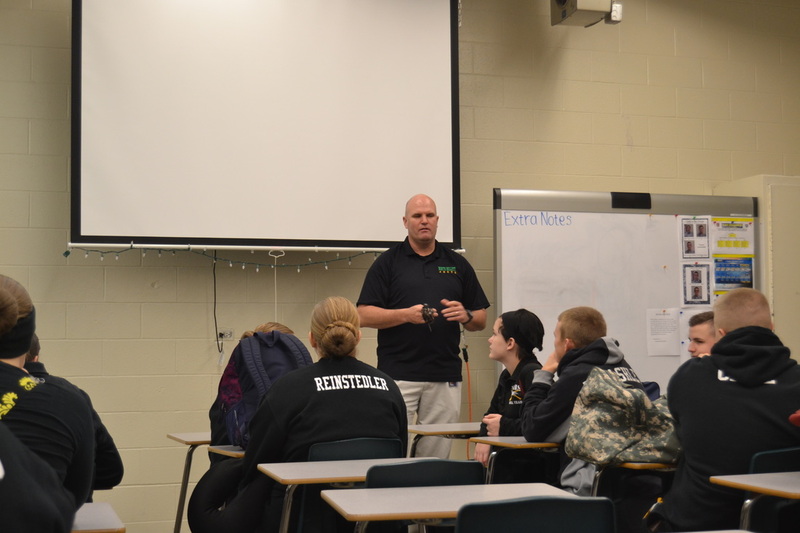 The Eagle Battalion cadets are exposed to a wide variety of educational topic contained within the Army JROTC curriculum. Senior Josh Tryon and sophomore Stephen Larimore brief their classmates on squad leader duties and responsibilities. Eagle Battalion cadets excel in our Operation Santa food drive collecting over 4,000 food items for local families in need. Eagle Battalion drill team members complete their coordination meeting as they prepare to depart to the Male High School drill meet.